Understanding Twitter is the basic platform for branding your business and being successful. I have enlisted the most common basic terms of Twitter. These terminologies will help you with understanding Twitter. Tweet: Is a post or stats update. 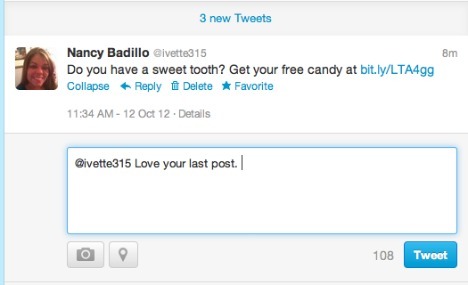 Your allow to create a message no longer than 140 character's. (Including spaces between words) On your homepage you will see the tab saying, compose your tweet. Hashtags (#): The # symbol is called a hashtag. It groups tweets together on a particular subject. You can add a # directly in from of a keyword and a link is created. This will make it particularly easy to find other conversations with that specific word by pressing on the link. It organizes all the related conversations with the word. @ Replies: You reply back to something someone has respond. In addition, you can also join a conversation on Twitter by responding replies. In order to reply back all you have to do is press the reply button. Direct Messages: By sending a direct message is only seen by the direct send and recipient. 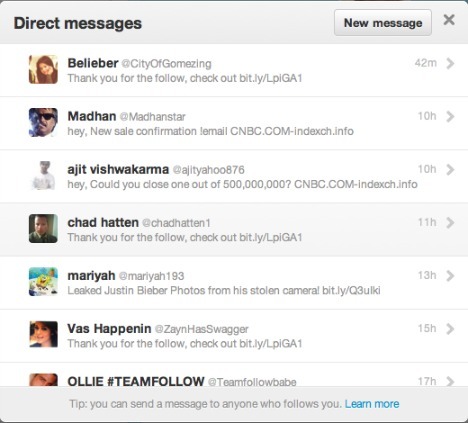 If you want to view any messages just click on the direct message on icon drop down menu. Lists: It allows you to organize the people you follow. It will also allow you to filter your messages accordingly to the list. One of the coolest function I love is grouping people that your not following into a list. Link Shorteners: Instead of creating a bulky URL link that will take away from your 140 characters you can shorten your link to have more characters available.